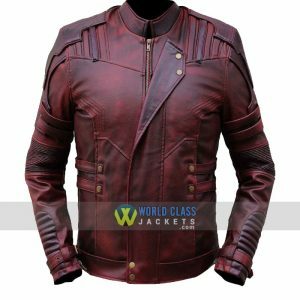 Here at WolrdClassJackets.com we are bringing “Bucky Barnes Winter Soldier Leather Full Black Jacket” inspired by 2014 blockbuster movie “Captain America: The Winter Soldier”, for the lovers of the Movie and Especially the star Sebastian Stan. 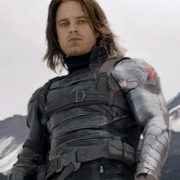 The new installment of the comic named The Winter Soldier has been successful in winning the hearts of its audience. The credit goes to its extraordinary performances and script. 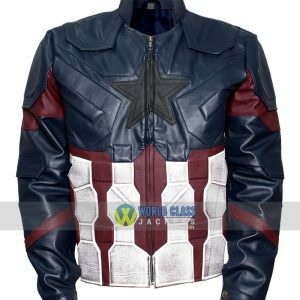 Captain America is the character that stood out in every manner. 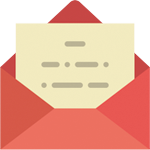 He has shown the extreme level of enthusiasm, integrity, and leadership skills. 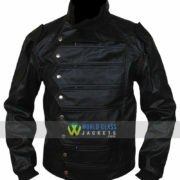 All this has made people around the world his die hard fans. His Bucky Barnes Winter Soldier Leather Full Black Jacket is in real demands indeed. 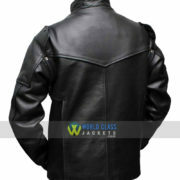 We Are Offering Special Discount of 40% off on this Men’s Black Leather Jacket in this Season. 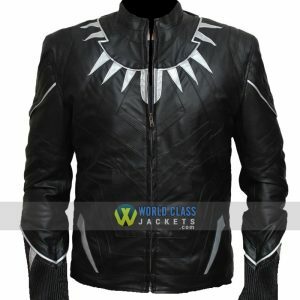 Avail This Awesome Offer and Buy This Avengers Jacket and Save $80. 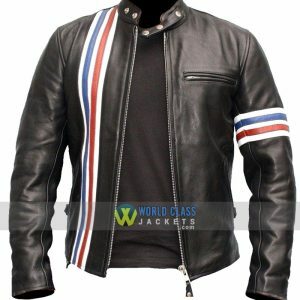 This Men’s Leather Jacket is also available in Brown Leather.